Digital marketing is fast replacing traditional marketing. It is about creating, distributing content or brand message via digital platforms like email, website, mobile, and social media networking sites to create awareness about products and services. With the rise in business going digital, it became significant for the individuals to take the knowledge about it. At CADD CENTRE, the diploma course in digital marketing will help you explore the world of digital through our well designed curriculum. You can get DIGITAL MARKETING training in Lagos, Nigeria. Whether you’re a complete beginner, marketing professional, or business owner looking to upskill, the digital marketing course is perfect for you. The diploma in digital marketing can provide you with the concept of digital marketing components email marketing, mobile marketing, PPC marketing, and SEO encompassing creative, analytical, and technical domains. 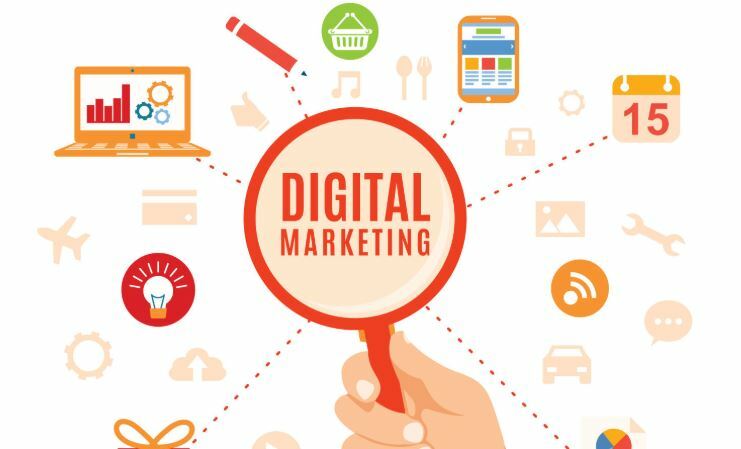 Upon completion of the course, students can independently take up digital marketing assignments such as running a Pay-per-click or social media campaigns or perform as digital marketers in the real work environment. Gaining this digital marketing certification will assure you the most essential skills and knowledge required to excel as a digital professional. Anyone can apply for the diploma in digital marketing. A related background in this discipline is not required. All fresher, graduates, marketing professionals, brand managers, business owners, housewives, and entrepreneurs are eligible to take up this course.